Non-native, invasive glossy buckthorn (Frangula alnus P. Mill.) threatens North American forests by inhibiting tree regeneration. While glossy buckthorn commonly invades younger, developing forests, we hypothesized that this species is competitively excluded as secondary succession proceeds. Specifically, we tested the hypothesis that glossy buckthorn mortality in New Hampshire forests is associated with low levels of photosynthetically active radiation (PAR), low levels of nutrients in the soil, and greater abundance of shade tolerant tree species. Twenty-six living and 26 dead glossy buckthorn individuals were randomly selected on three, mid-successional study sites in southeastern New Hampshire, USA. Shrub ages, indicated by wood ring counts, showed that both living and dead shrubs were members of the same cohort, roughly 16–18 years of age. Living and dead shrubs were compared as to (1) tree basal area in the surrounding forest (estimated by plot sampling), (2) light intensity in the vicinity of the buckthorn crowns (measured by Sunfleck Ceptometer), (3) canopy openness and % total transmitted PAR (estimated by hemispheric photography), and (4) concentrations of available Ca, P, Mg, and K in the B horizon. 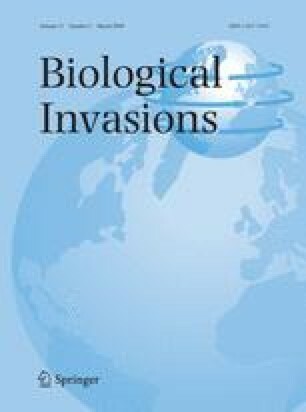 Relative to live buckthorn shrubs, dead individuals were associated with greater basal area of shade tolerant species, decreased PAR in the vicinity of shrub crown, and decreased soil concentrations of Ca, P, and Mg. The results are consistent with the hypothesis that competition for light and perhaps nutrients limits the ability of glossy buckthorn to persist in late successional stands. If these relationships are causal, active removal of glossy buckthorn might not be required to reduce its abundance in late successional stands. We thank Russell Orzechowski and Rachel Johnson for their indefatigable assistance in both the field and laboratory, Dr. James Taylor for his advice on statistics, and Dr. Robert Eckert for the loan of his digital photographic equipment. Dr. Antoinette Hartgerink, Kristina Vagos, and Rachel Johnson read and commented on an earlier version of the manuscript. The research was funded by a Summer Undergraduate Research Fellowship (to C. C.) from the University of New Hampshire Undergraduate Research Opportunities Program and by the New Hampshire Agricultural Experiment Station (MS–52).